Cary Darling Oct. 15, 2018 Updated: Oct. 15, 2018 6 p.m. The tenth anniversary of the Houston Cinema Arts Festival flaunts its multimedia ambitions, as well as makes a nod to its past, when it unspools Nov. 8-12 with crossover programming from the worlds of film, music, books and virtual reality. 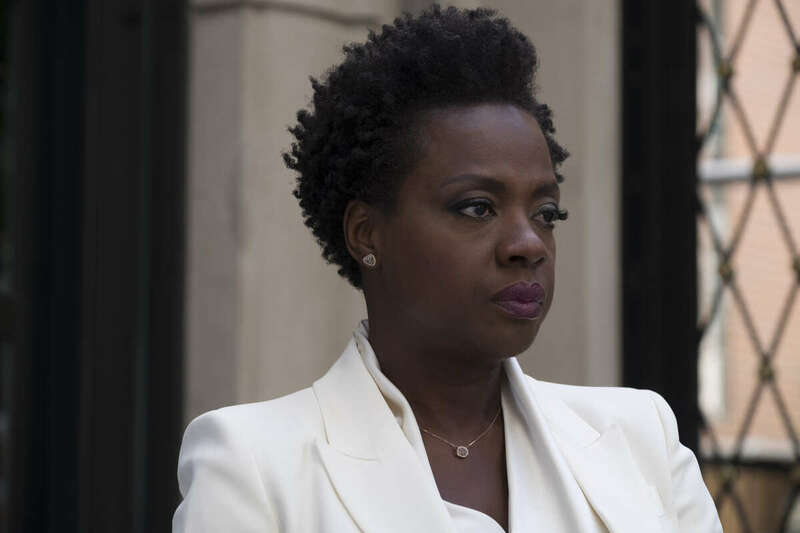 Such hotly anticipated major releases as Steve McQueen’s “Widows” starring Viola Davis; Peter Farrelly’s “Green Book” with Mahershala Ali and Viggo Mortensen; Brady Corbet’s “Vox Lux” starring Natalie Portman and Jude Law; Alfonso Cuarón’s much lauded “Roma” ;and the documentary about opera star Maria Callas, “Maria by Callas,” will be making their Houston-area debuts, it was announced Monday. Another big film on a schedule with approximately 70 features, documentaries and shorts is “At Eternity’s Gate,” filmmaker/painter Julian Schnabel’s movie about the last days of Vincent van Gogh starring Willem Dafoe, Oscar Isaac, Mads Mikkelsen and Rupert Friend. The motion picture picked up two awards at this year’s Venice Film Festival. But perhaps the quirkiest highlight of the festival features Houston-born director Richard Linklater hosting “A Dazed and Confused Cinema Arts Celebration: The Music of Richard Linklater.” He will be in conversation with Houston musician Bun B about the soundtracks for his Texas-set films “Dazed and Confused” and “Everybody Wants Some” and then showing clips from the movies. Houston band Handsomebeast will be on hand covering songs from the soundtracks. Nov. 8-12 The Museum of Fine Arts Houston, Rice Media Center, Aurora Picture Show, White Oak Music Hall, Sawyer Yards, Moody Center, The Asia Society and Cafe Brasil $12 for most screenings www.cinemahtx.org. Opening night will showcase two documentaries: “Bathtubs Over Broadway,” director Dava Whisenant’s chronicle of comedy writer Steve Young’s obsession with Broadway-style recordings about such brands as McDonald’s and Xerox; and “Citizen Blue,” a look at the life of Oscar-nominated and Cannes award-winning Houston filmmaker James Blue, the man who founded Rice Media Center at Rice University and the Southwest Alternate Media Project (SWAMP). Outgoing artistic director Richard Herskowitz, for whom this will be his last Cinema Arts Festival as he wants to concentrate on his other gig as the artistic and executive director of the Ashland Independent Film Festival in Oregon, says he wanted to offer the feel of a retrospective of the festival’s first decade without showing films that have been at the festival in the past. 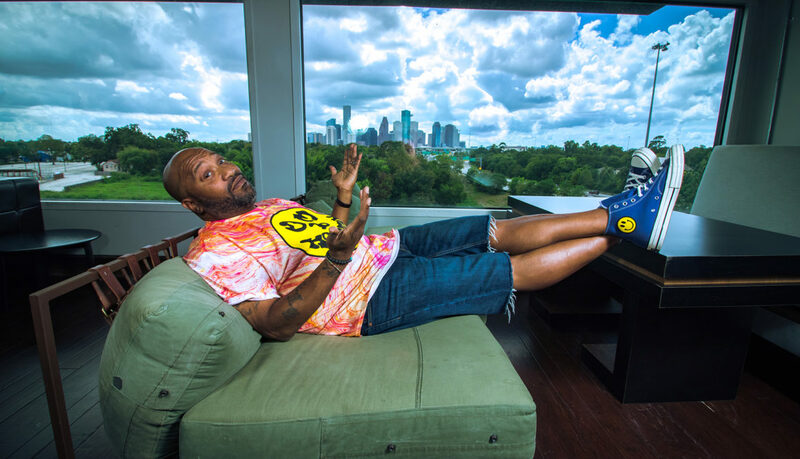 Bun B, also an honorary board member, has also been involved with past festivals, from interviewing “Blue Velvet” cinematographer Frederick Elmes in 2016 to helping stage last year’s “Singin’ in the Rain” celebration that meshed live performance with the classic film that took on added relevance in a post-Harvey Houston. “To discover that in addition to being a great musician he’s a serious cinephile and when he had the opportunity to interview the cinematographer of “Blue Velvet,” he was beside himself. So, he too is a big part of our history over the last decade,” Herskowitz said. One of the more intriguingly Texas-centric events on the schedule is “The Low Turn Row: A Journey in Time,” a work from FotoFest International co-founders Frederick Baldwin and Wendy Watriss that spans film, music, video, photography, and music. The project focuses on Grimes County, west of Huntsville, where Baldwin and Watriss lived for two years listening to, documenting and recording the stories of those who live there. Blues vocalist Corey Harris will sing the songs of Grimes County blues singer Mance Lipscomb, who died in 1976. Three notable documentary screenings are: “This Changes Everything,” Tom Donohue’s exceedingly timely documentary about Hollywood’s treatment of women through the years and features the voices of some of the leading actresses of our era including Cate Blanchett, Jessica Chastain, Tiffany Haddish and Natalie Portman; “The Price of Everything,” a behind-the-scenes look at the world of art and art collecting featuring such artists Jeff Koons, Gerhard Richter and Njideka Akunyili Crosby, which will be followed by a discussion with Houston art professionals; and “Jaddoland,” which explores identity and family with a mother and daughter of Iraqi descent in Lubbock. Also on tap is a showing of a restored version of “The Ancient Law,” the 1923 film that is a prime example of Jewish filmmaking in Germany, with musical accompaniment from Klezmer violinist Alicia Svigals and pianist Donald Sosin as well as a meshing live music and film when musician Walt McClements (from the bands Hooray for the Riff Raff and Lonesome Leash) teams with experimental filmmakers Vanessa Renwick and Brent Green. The festival expands into the realm of virtual reality with 360 Cinema, an event that will run every 90 minutes from 10 a.m. to 7 p.m. on Nov. 10 at Sawyer Yards. It features six short subjects, totaling 35 minutes in running time, that will take the viewer through the worlds of dance, art and experimental storytelling. Another VR-related event is “Queerskins — a love story,” a site-specific installation at Rice Media Center, where visitors don Oculus headsets that place them in the back seat of car behind two grieving parents talking about their estranged son. On the literary side, novelist Jonathan Lethem (“The Fortress of Solitude”) is pairing with filmmaker Fred Barney Taylor for a showing of “Lethem,” a look at the life of the author and those who have impacted him. Separately, Lethem will also be appearing at a reading of his new book, “The Feral Detective,” at an InPrint event at University of Houston’s Cullen Performance Hall. And CineSpace, the short film competition held in conjunction with NASA, returns with Linklater as judge. Cinema Arts Festival venues include the Museum of Fine Arts Houston, Rice Media Center, Aurora Picture Show, White Oak Music Hall, Sawyer Yards, Moody Center, The Asia Society and Cafe Brasil. General admission is $12 for most screenings, though some events are more. All-access passes are $99. For more information, tickets and the full schedule, go to www.cinemahtx.org. A Thousand Thoughts screens on Nov. 11 at 4:00pm and 7pm at Asia Society Texas Center. Photo courtesy of HCAF. Houston can be funny sometimes. Millions of people live here, but you rarely seem to meet people from here. This seems to be especially true in the landscape of Houston’s art world, which is often dotted by women and men who have come from elsewhere and set their tents—a city marked by outsiders. Consider the Houston Cinema Arts Festival (HCAF), this year celebrating its tenth anniversary, and Richard Herskowitz, its artistic director. Most of the time, he lives in Oregon, but for about two months each year, he’s here in Houston, programming the festival, taking on the task of working with Houston’s myriad arts organizations—the Museum of Fine Arts, Inprint, Asia Society Texas Center, Project Row Houses (to name just a handful of the more ubiquitous ones)—to assemble a five-day event that spans the city. The festival’s mission? To highlight film that addresses, in one way or another, the creative act. Jaddoland screens on Nov. 11 at 7pm at Rice Media Center with Nadia Shihab and Lahib Jaddo in attendance. But after ten years, Herskowitz is saying goodbye to Houston and the festival. “Ten,” he tells me over the phone one afternoon, “is a nice number to go out on.” One of the notable features of HCAF is the way it ties together different venues, different organizations, and different art forms from merely film; the festival becomes, in a way, a guided tour through Houston. 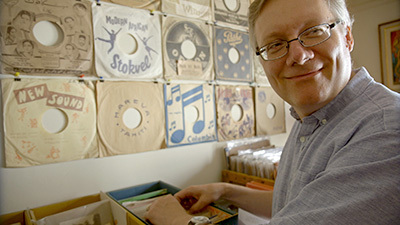 This year, one of the opening night films is a musical documentary, Bathtubs Over Broadway, which will be accompanied by record collectors Steve Young and Don Bolles, who are featured in the film. Bolles, a founder of the venerable Los Angeles punk band The Germs, will perform a DJ set at the MFAH Cullinan Hall following the film. “We have had a wide range of musical performances at our opening nights this past decade, from violinist Philippe Quint to country musician Dale Watson. This year, Bolles’ eccentric DJ’ing will kick off [a festival] that is as much a music festival as a film festival.” An upcoming HCAF event uses Asia Society Texas Center for A Thousand Thoughts, a “live documentary” that features Sam Green and a performance from the legendary Kronos Quartet. Another 2018 festival event will highlight the 25th anniversary of Dazed and Confused, which will involve dancers interpreting the classic film’s soundtrack before its director, Richard Linklater, is interviewed by Bun B.
Bathtubs over Broadway opens the Houston Cinema Arts Festival on Nov. 8 at the MFAH, with director Dava Whisenant and Steve Young in attendance. Photo courtesy of HCAF. 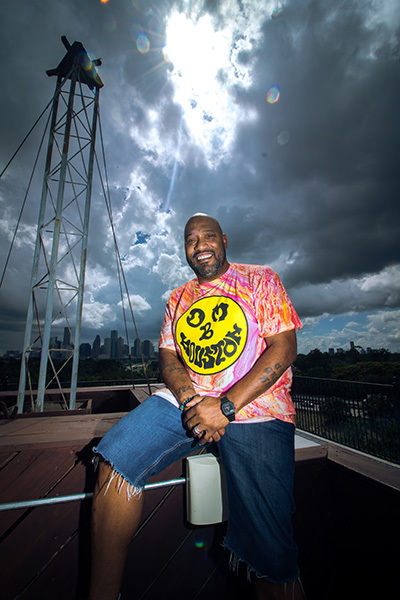 Houston hip-hop legend Bun B will interview Richard Linklater as part of A Dazed and Confused Cinema Arts Celebration:The Soundtracks of Richard Linklater on Nov. 9 at White Oak Music Hall Pictured: Bun B. Photo by Marco Torres. Benjamin Rybeck is the author of The Sadness and the general manager of Brazos Bookstore. See online article The Houston Cinema Arts Society is pleased to announce the full lineup of films, guest artists, live performances, and interactive elements that will populate the 2018 Houston Cinema Arts Festival – as it celebrates its milestone 10th anniversary – from November 8 – 12 at Museum of Fine Arts Houston, Rice Cinema, White Oak Music Hall, Cafe? Brasil, and additional partner venues across the City of Houston. Opening Night The Houston Cinema Arts Festival will launch with dual opening night films on Thursday, November 8. At MFAH, Director Dava Whisenant and subject Steve Young will present Bathtubs Over Broadway, a documentary that follows Young – a former comedy writer for David Letterman – on a bizarre quest to learn as much as he can about a clandestine and forgotten collection of Broadway-style recordings about some of America’s most recognizable brands, including General Electric, McDonald’s, and Xerox. The uproarious film includes commentary from the likes of David Letterman, Chita Rivera, Martin Short, Jello Biafra, and more. The MFAH screening will conclude with a post-screening reception in the MFAH Cullinan Hall DJ’ed by Don Bolles – the gregarious drummer from the group Germs and Ariel Pink – who is one of the collectors featured in Bathtubs Over Broadway. Bolles will spin some mind-blowing songs from his own Industrial Musical record collection. Down the road at Rice Cinema, University of Oregon professor and filmmaker Daniel Miller will present Citizen Blue, a comprehensive documentary that explores the legacy of the late Oscar-nominated and Cannes award-winning filmmaker James Blue, a prominent media educator and activist who founded Houston’s Rice Media Center and the Southwest Alternate Media Project (SWAMP). Citizen Blue will be preceded by Skip Day, a short film from HCAF 2017 alumni Patrick Bresnan and Ivete Lucas, whose photo and video exhibition Rabbit Hunt will open in the Rice Media Center that evening. Skip Day premiered and won the Short Film Award at the Cannes Film Festival this year. A Music and Film Festival After expanding in 2017 with a musical tribute to Singin’ in the Rain and the city’s resilience after Hurricane Harvey, the annual Cinema Arts Celebration will return in a major way for the festival’s 10th anniversary. A Dazed and Confused Cinema Arts Celebration: The Music of Richard Linklater will take place on Friday, November 9 at White Oak Music Hall. Academy Award-nominated director Richard Linklater, a member of the Festival’s board and its first Opening Night guest in 2009, will attend the event and speak with “Houston’s Unofficial Mayor” Bun B, a longterm HCAF board member and participant, about the soundtrack selections in two of his most acclaimed films – Dazed and Confused (on its 25th anniversary) and Dazed’s “spiritual sequel”, Everybody Wants Some!! Following the discussion, Houston-based bandHandsomebeastwill take the stage and perform renditions of songs from both Dazed and Confused and Everybody Wants Some! !, accompanied by clips from each film. Bun B will follow Handsomebeast with his own version of the seminal hip-hop track “Rapper’s Delight”, which appears in Everybody Wants Some!! He will then perform – accompanied by special guests – several songs from his new album “Return of the Trill” – his first album in five years. The evening will close with dance music spun by DJ Ramalama (Matt Johns). The festival will continue its weekend of music and film events with two live documentary performances of A Thousand Thoughts at Asia Society Texas Center on Sunday, November 11. Narrated live by director Sam Green, the unusual combination of live concert and film screening will be held at 4 p.m. and 7 p.m. During each of the two limited-seating performances, Kronos Quartet – a celebrated and groundbreaking string quartet from San Francisco, CA – will perform alongside new and archival footage about its storied career. The wildly creative multimedia performance piece blends live music and narration with archival footage and filmed interviews with such notable artists as Philip Glass, Tanya Tagaq, Steve Reich, Wu Man, and Terry Riley. Another cinematic and musical experience will be held on Saturday, November 10 at 6:30 PM at the new Moody Center for Performing Arts on the Rice campus. FotoFest International co-founders and Houston arts icons Frederick Baldwin and Wendy Watriss will present The Low Turn Row: A Journey in Time. The project is a multimedia work, part of a larger work-in- progress and upcoming documentary film, incorporating music, video, still photographs, live performance, and dialogue with the audience. The focus of the presentation is a county in Texas – Grimes County just north of Houston – that was the site of Baldwin and Watriss’ first joint photography project. 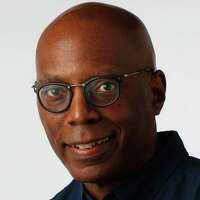 Living for two years in the back pasture among African American farmers, Baldwin and Watriss photographed, listened to, and recorded the stories of people from all cultures who settled and developed Grimes County. The ground-breaking blues performer Corey Harris will perform the music of Mance Lipscomb, whose songs described the experiences of African Americans in Grimes County where he was born. Other live music and film performances include The Ancient Law (Das Alte Gesetz), the newly RESTORED 1923 classic considered to be the highpoint of Jewish filmmaking in Germany, with pianist Donald Sosin and Klezmer violinist Alicia Svigals returning to HCAF to perform their new musical score live. At the Aurora Picture Show on November 12, guitarist Marisa Anderson and multi-instrumentalist Walt McClements (Lonesome Leash, Hooray for the Riff Raff) will join experimental filmmakers Vanessa Renwick and self-taught visual artist and animator Brent Green (also HCAF veterans) for a night of Live Music and Film. 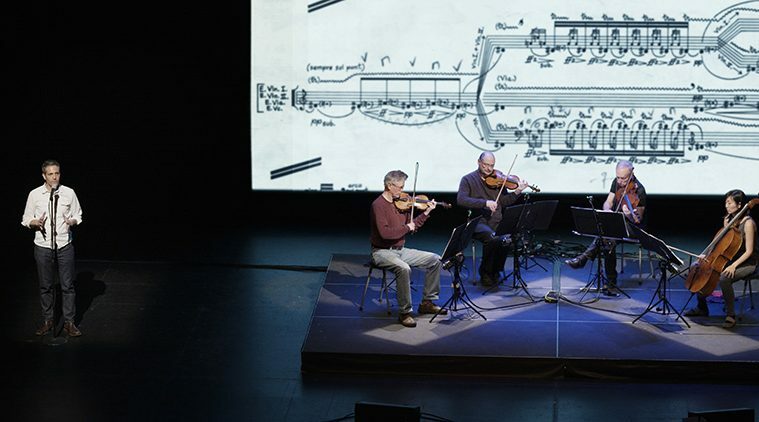 “With classical innovators Kronos Quartet, rapper Bun B, blues artist Corey Harris, punk DJ Don Bolles, Klezmer violinist Alicia Svigals, and guitarist Marisa Anderson, among other musicians, in our line-up,” states HCAF Artistic Director Richard Herskowitz, “we are as much a music as a film festival. You might, in fact, call us a Cinema Arts festival, as we’ve always aspired to be.” Premieres of Major Upcoming Releases The 2018 Houston Cinema Arts Festival yet again boasts a collection of critically acclaimed and buzzed-about Fall film festival hits, many of which are considered to be candidates for next year’s OSCARS ® Widows (Centerpiece Screening, 11/9 at MFAH), Steve McQueen’s highly anticipated directorial return following 12 Years a Slave, follows four women in contemporary Chicago – Viola Davis, Michelle Rodriguez, Elizabeth Debicki, and Cynthia Erivo – with nothing in common except a debt left behind by their dead husbands’ criminal activities. The women take fate into their own hands and conspire to forge a future on their own terms. Maria By Callas (11/10 at MFAH) is an intimate look at the life and work of Greek-American opera singer, Maria Callas, as told in her own words. Callas was one of the most influential and renowned opera singers of the 20th century. During the course of the film, never-before-seen footage and performances offer insight into Callas’s tumultuous life and brilliant career. At Eternity’s Gate (Centerpiece Screening, 11/10 at MFAH) is a film about the final days of painter Vincent van Gogh. Directed by painter/filmmaker Julian Schnabel – one of the inspirations for the “arts and film” concept of the Houston Cinema Arts Festival – stars Willem Dafoe (as Vincent van Gogh), Rupert Friend, Oscar Isaac, and Mads Mikkelsen. At Eternity’s Gate was previously screened in the main competition section of the 75th Venice International Film Festival, where Dafoe won the Coppa Volpi (Best Actor) award. ** The screening arrives just ahead of a major MFAH exhibition opening in March entitled, “Vincent Van Gogh: His Life in Art.”** Vox Lux (Centerpiece Screening, 11/10 at MFAH), a musical drama written and directed by Brady Corbet, begins in 1999 with teenage sisters Celeste (Raffey Cassidy) and Eleanor (Stacy Martin), who have survived a seismic, violent tragedy. The sisters compose and perform a song about their experience, making something lovely and cathartic out of catastrophe – while also launching a career. By the film’s second half, set in 2017, the now 31-year-old Celeste (Natalie Portman) is mother to a teenage daughter of her own (Raffey Cassidy) and struggling to navigate a career fraught with scandals when another act of terrifying violence demands her attention. 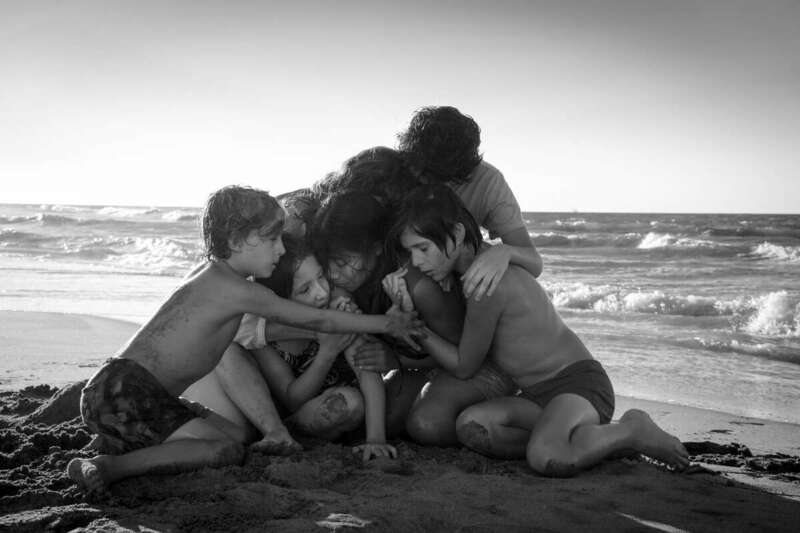 Roma (Centerpiece Screening, 11/11 at MFAH): Written and directed by Academy Award-winning filmmaker Alfonso Cuaro?n, Roma is story that chronicles a tumultuous year in the life of a middle-class family in Mexico City in the early 1970s. The film won the Golden Lion award at the 75th Venice International Film Festival and has been selected as the representative from Mexico in the category of Best Foreign Language Film at the upcoming 91st Academy Awards. 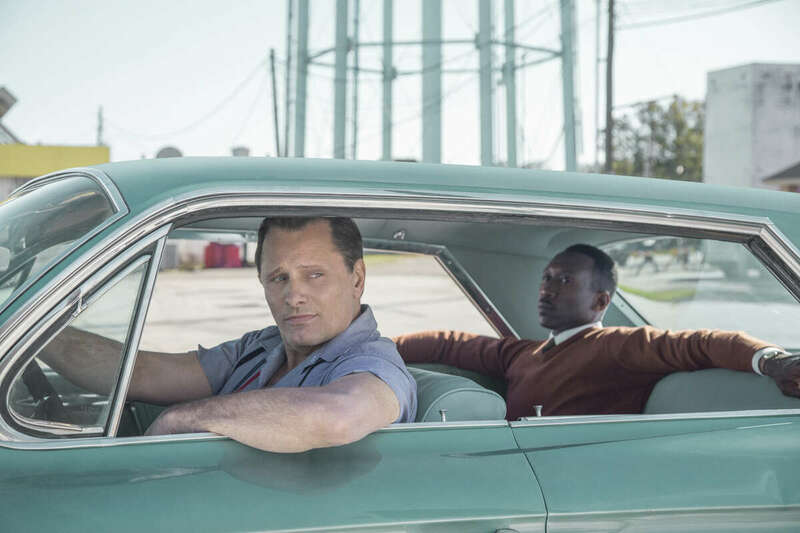 Green Book (Closing Night film on 11/12 at MFAH): When Tony Lip (Mortensen), a bouncer from the Bronx, is hired to drive Dr. Don Shirley (Ali), a world-class Black pianist, on a concert tour from Manhattan to the Deep South, they must rely on “The Green Book” to guide them to the few establishments that were then safe for African-Americans. Confronted with racism, danger-as well as unexpected humanity and humor-they are forced to set aside differences to survive and thrive on THE JOURNEY of a lifetime. Green Book had its world premiere at the Toronto International Film Festival in September 2018, where it won the People’s Choice Award. Directed by Peter Farrelly. A Virtual Reality Theater On Saturday, November 10, HCAF 2018 will debut a unique cinematic experience in the form of 360 Cinema, a virtual reality program being held from 10 AM to 7 PM at Sawyer Yards in conjunction with Second Saturday – an art gallery showcase event that takes place on the second Saturday of each month. 360 Cinema – comprised of six short films selected for the Houston Cinema Arts Society by Kim Voynar of WonderTek Labs LLC – will take place every 90 minutes throughout the day. The six films in the program – which range in subject matter from experimental storytelling, to immersive dance, to abstract metaphorical 360° artworks – will play one after another for the duration of 35 minutes. A Q&A portion will immediately follow each screening. Additionally, another unique VR experience will be presented by HCAF throughout the Festival week of November 8-12. Queerskins, a love story – a virtual reality experience for Oculus Touch – will be shown as a site-specific interactive installation at Rice Media Center. Queerskins positions visitors – wearing Oculus headsets – in the back seat of a photorealistic vintage 1986 Cadillac DeVille behind two grieving parents, Ed (Drew Moore) and Mary-Helen (Hadley Boyd), as they take a magic realist journey down a country road, which becomes a memory lane populated with scrapbook artifacts from their estranged son’s peripatetic life. A conversation with artist Illya Szilak and Kim Voynar will be held on Friday, November 9 at noon at Rice Media Center. Special Guests and Screenings Alex Cox, the legendary director of Sid and Nancy and Repo Man, will come to Houston to present the appropriately titled closing night film on November 12, Dennis Hopper’s The Last Movie. Hopper’s film follows a Hollywood movie crew in the midst of making a western in a remote Peruvian village. The film is among the most storied, catastrophic productions of the New Hollywood Era and will be presented newly RESTORED in 4K. Cox will remain in Houston one day after the Festival to present at Rice Cinema the subversive feature film that derailed his own career in Hollywood, Walker (1987). Jonathan Lethem, noted novelist of Motherless Brooklyn and The Fortress of Solitude, will join filmmaker Fred Barney Taylor for a screening of Lethem, a portrait of the author featuring those who have impacted his life. These include his oldest friend, Michael Seidenberg, a bookseller whose bookshops were stocked with books that he would rather not sell; his younger brother Blake, a legendary graffiti writer; his father, Richard Brown Lethem, a well- known painter; and his good friend Hampton Fancher, the screenwriter and producer of the Blade Runner films. The film will screen on November 11 at the MFAH, and is cosponsored with Inprint, which brings Lethem to Houston as part of the Inprint Margarett Root Brown Reading Series on November 12 to read from his new novel, The Feral Detective. This Changes Everything, screening on November 10 at Rice, explores the insidious and systemic sexism in Hollywood through the articulate voices of some of the industry’s leading artists, including Geena Davis (the film’s executive producer), Meryl Streep, Sandra Oh, Jessica Chastain, Natalie Portman, and many other ambassadors of the #TimesUp movement. One of the film’s leading voices, Maria Giese, instigated the biggest industry-wide Federal investigation for women directors in Hollywood history. Giese will come to Houston to present the film and engage with local audiences. During the afternoon on Saturday, November 10 at the Museum of Fine Arts, an exciting screening and discussion will take place around the film The Price of Everything, a documentary that explores the labyrinth of the contemporary art world. The film features collectors, dealers, auctioneers, and a wide range of artists, from current market darlings Jeff Koons, Gerhard Richter and Njideka Akunyili Crosby, to one-time art star Larry Poons. Following the film, two notable Houston arts professionals, Alison de Lima Greene, the MFA’s Isabel Brown Wilson Curator of Modern & Contemporary Art and Jessica Phifer, Associate Vice President and Senior Account Manager of the Southwest Region for Christie’s Auction House will delve deeper into the film’s arguments with director Nathaniel Kahn (the director of My Architect, about his father Louis Kahn) and producer Jennifer Stockman, former president of the Guggenheim Museum in New York. Last but not least, CineSpace – a short film competition in partnership with NASA – returns for the fourth year, judged by director Richard Linklater. After finalists are selected and announced online on Monday, October 15, prizewinners across multiple categories will subsequently be presented at Rice Cinema on Saturday, November 10 at 9:00 PM. Films about Art and Artists True to its mission, HCAF 2018 will explore a wide range of art forms through the medium of film. ARCHITECTURE: James Blue’s Invisible City: Houston’s Housing Crisis, his pioneering 1979 Houston public television series, will be presented at Rice Cinema on November 11 by its co-director, architect Adele Naude? Santos, as part of the ArCH Film Festival section of this year’s festival. Santos was an Architecture professor at Rice University when James Blue taught there as well, and she went on to an illustrious architectural career, recently retiring as Dean of the MIT School of Architecture. Giorgio Angelini, whose film Owned, a Tale of Two Americas delves into similar issues of race and gentrification and is the second film in the ArCH section, was inspired to make his film while studying in the Rice Architecture program. Angelini will return to Houston to present his film at Rice Cinema on November 10. The Architecture Center Houston will expand the ArCH Film Festival with four more events at venues throughout Houston from November 6-16. 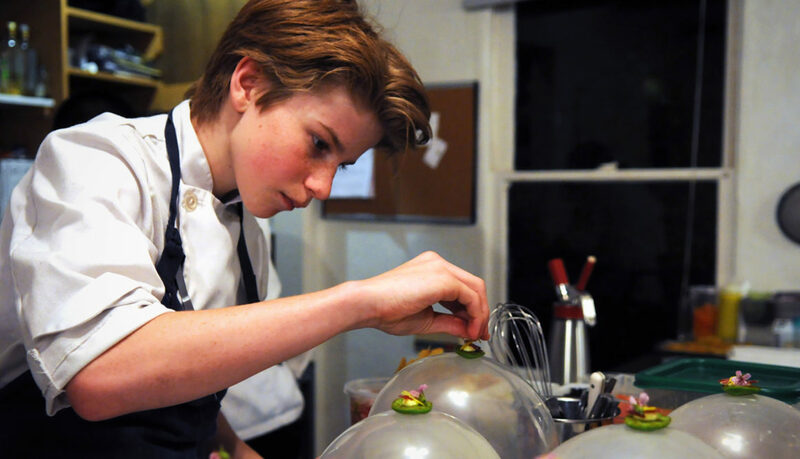 CULINARY ARTS: Chef Flynn (11/9 at Rice): Ten-year-old Flynn McGarry transforms his living room into a supper club using his classmates as line cooks. Achieving sudden fame, Flynn outgrows his bedroom kitchen and sets out to challenge the hierarchy of the culinary world. THEATER ARTS: The Rest I Make Up (11/9 at Rice): The visionary Cuban-American dramatist Maria Irene Fornes, constructed astonishing worlds onstage, writing over 40 plays and winning nine Obie Awards. When she gradually stops writing due to dementia, an unexpected friendship with filmmaker Michelle Memran reignites her spontaneous creative spirit and triggers a decade-long collaboration. 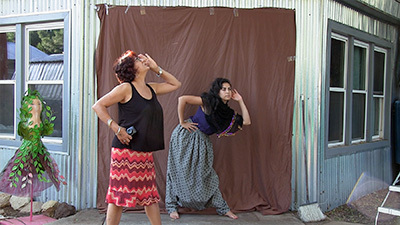 VISUAL ART: Jaddoland with Director Nadia Shahib and her mother, Lahib Jaddo (11/11 at Rice): When Nadia Shahib returns to her hometown in the Texas panhandle to visit her mother, an artist from Iraq, she turns her lens on her mother’s increasingly isolated life, as well as the beauty and solace that emerge through her creative process. DANCE: In Rob Fruchtman’s Moving Stories, six diverse dancers from the acclaimed Battery Dance company in New York travel the world to work with young people in Romania, Korea, India and Iraq who have experienced war, poverty, sexual exploitation, and trauma as refugees. The dancers, (including Clement Mensah, who will accompany the film and also meet with Houston students during his visit) teach these youth the tools of choreography so that they can tell their stories through dance. Cinema on the Verge HCAF’s commitment to cinematic experimentation continues with several notable guest presenters Imaging Actors with Lynn Hershman Leeson and Stacey Steers (11/9 at Brasil): Two media artists who presented memorable programs during HCAF’s first decade return to Houston with a selection of works that play with the images of notable Hollywood actresses. Artist Lynn Hershman will screen her latest film, Vertighost, which offers a feminist riff on Alfred Hitchcock’s Vertigo. Stacey Steers will project her two latest handmade collage films, Night Hunter and Edge of Alchemy. Love and the Epiphanists: A Scott Stark Performance (11/10 at Rice): Building in elements of humor and incongruity, Austin-based media artist Scott Stark returns to HCAF to present five short works and his new multi-screen performance drawn from Hollywood movie trailers – Love and the Epiphanists. Compressed Air: The Best Experimental Films of 2018 with Michael Sicinski (11/11 at Rice): Thoughtfully chosen by film critic and University of Houston lecturer Michael Sicinski, this surprising compilation of contemporary short films features several USA, North American and World premieres. Artists represented include Saul Levine, Akosua Adoma Owusu, Jodie Mack, Stephanie Barber, and more. Houston Cinema Arts Society (HCAS) is a 501 (c) (3) nonprofit organization dedicated to presenting innovative films, media installations, and performances that celebrate the artistic process and enrich Houston’s culture and urban vitality. Created in 2008 with the support of former Houston Mayor Bill White and philanthropist Franci Neely, it organizes and hosts the annual Houston Cinema Arts Festival, a groundbreaking and innovative festival featuring films and new media by and about artists in the visual, performing, and literary arts. The Festival celebrates the diversity of the arts in Houston and elevates the city’s film and arts scene. 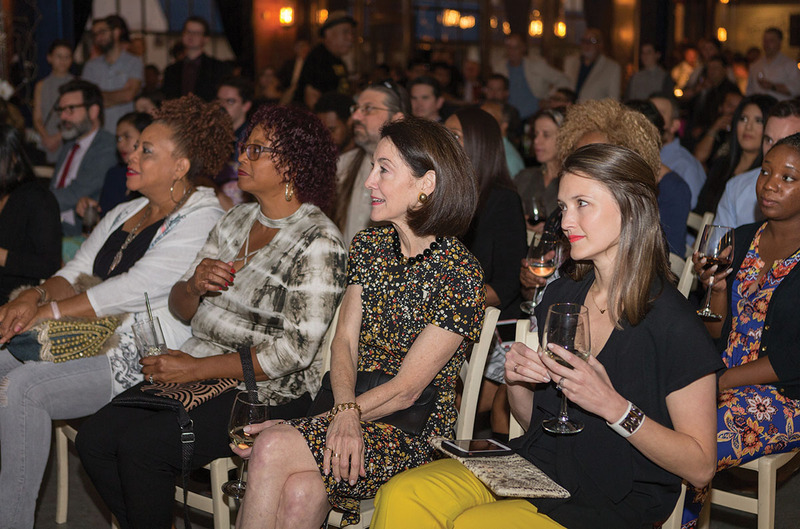 Houston Cinema Arts Society sponsors include premiere sponsor Anadarko Petroleum Corporation, signature sponsors Houston First Corporation, METRO, and Levantine Films, and presenting sponsor Nabors Industries. HCAS is also supported by the Franci Neely Foundation; The Petrello Family Foundation; Amegy Bank; Kinder Foundation; Brown Foundation, Silver Eagle; Texas Film Commission; Houston Film Commission; Texas Commission for the Arts; National Endowment for the Arts; and Houston Arts Alliance. The 2018 Houston Cinema Arts Festival will take place from November 8-12. Did you attend our CineBrew screening of “Apollo 13” at Eureka Heights Brew Co? We had a great time watching a wonderful film (and trying some awesome beers!) Make sure to check out our instagram and facebook for info on the next CineBrew event!